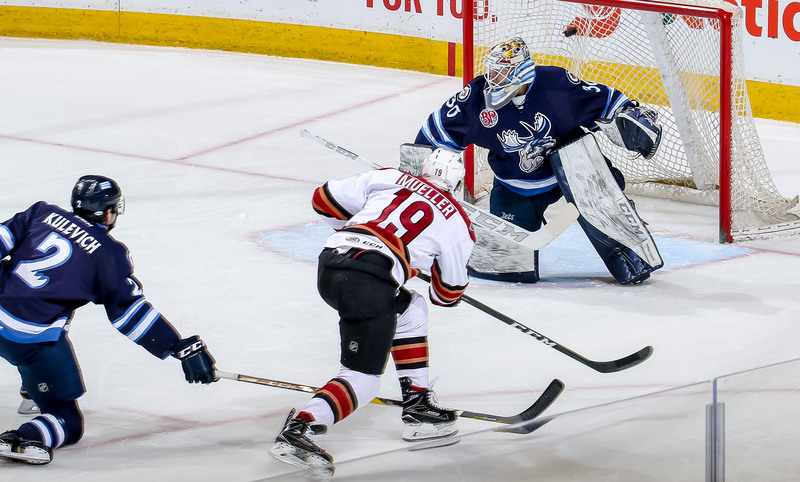 The Roadrunners fought until the finish in the club’s first-ever visit to Winnipeg’s MTS Centre Friday night, but ultimately fell to the Manitoba Moose by way of a 5-4 overtime loss. It was the team’s first loss to the Moose this season. Chris Mueller had a hand in each of the Roadrunners’ four goals Friday night, finishing the evening with four points (2G, 2A) to his name, surpassing his previous single-season career-high mark of 60 points. He now has 62 points (17G, 45A) in 64 games. Friday night’s affair didn’t start off too well for the Roadrunners, the Moose tallying a pair of goals in a :50 second span to take a 2-0 lead less than five minutes into the contest. Jamie McBain buried his seventh goal of the season at the 7:40 mark of the first period, one-timing home a Chris Mueller feed on a power play to cut Tucson’s deficit to one. With just over six minutes to play in the opening frame, Chris Mueller, upon winning a battle to a loose puck, fired a wrist shot high to the far side past Manitoba’s Jamie Phillips to tie the game 2-2. The Moose would take a 3-2 lead into the second period; they would score again midway through the middle frame to take a 4-2 lead. Adin Hill was pulled from the game following Manitoba’s fourth goal. He made six saves on 10 shots faced. Chris Mueller netted his second goal of the evening, and his 17th of the season to get the Roadrunners back to within a goal when he scraped away at a loose rebound as he followed up on a Jamie McBain point shot. For Mueller, his second goal of the night set a new personal career-high in points scored during a single season, topping his mark of 60 which he attained during the 2011-12 campaign with the Milwaukee Admirals. In the late stages of the third, and while working on a 5-on-3 power play, Joe Whitney slammed home a Chris Mueller pass to tie the game 4-4 with 1:41 left on the clock. Manitoba netted the game-winning goal at the 2:03 mark of overtime. The Roadrunners failed to register a single shot in the extra frame. Marek Langhamer made 12 saves on 13 shots faced in the 33:20 minutes he played in relief of Adin Hill. 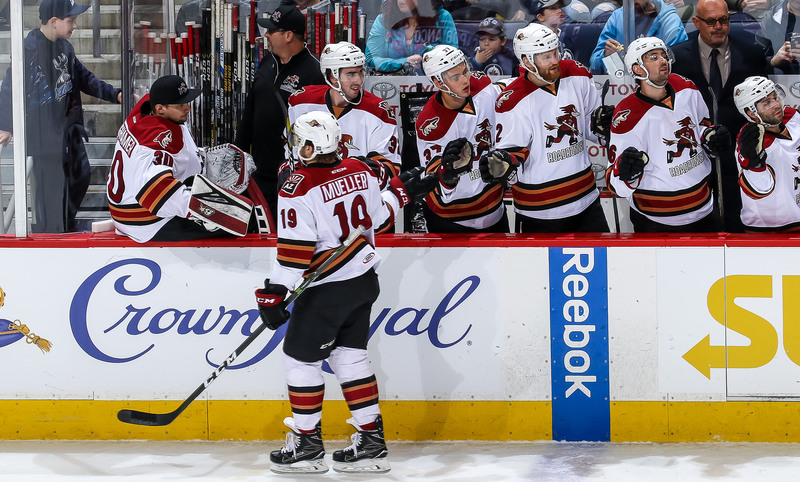 The Roadrunners will continue their five-game road trip Sunday afternoon when they take on the Manitoba Moose for the final time this season. The puck is scheduled to drop just after 12:00 PM PST at the MTS Centre.